The study involving 84 obese adults was recently published in the International Journal of Obesity. It looked at how a person’s intestinal flora influenced weight reduction. Some participants followed Danish national dietary guidelines believed to promote the maintenance of a healthy body mass index. Their diet emphasized fruits, vegetables, fiber and whole grains. Others followed the average Danish diet, which typically contains more meat and processed foods. The researchers found that one size does not fit all when it comes to dietary guidance and recommendations for weight loss. The study revealed that the types and proportions of certain gut bacteria may be responsible for how much weight individuals were able to lose, and under what circumstances, including following particular dietary guidelines. After 24 weeks, the study concluded that about half of the participants following the dietary guidelines lost some weight, while others remained unaffected. Those who did lose weight had a higher ratio of Prevotella (beneficial organisms) to Bacteroides (pathogens) residing in their gut. Microbiologists have reported that humanity can be roughly divided into three enterotypes, or classifications based on which living organisms dominate the bacteriological ecosystem in the gut microbiome: Bacteroides, Ruminococcus, or Prevotella. Researchers have found that dietary intake of meat, fats, carbohydrates and alcohol appears to influence the type of bacteria colonizing the intestines. People who eat a lot of meat and saturated fat tended to have more Bacteroides in their flora; Ruminococcus prevailed in people who consumed lots of alcohol and polyunsaturated fats; whereas Prevotella favored a diet rich in carbohydrates. Changing the diet to shift the species of the microbiome looks promising, but it may take long-term dietary intervention. The role of microbial manipulation in disease and obesity management continues to evolve, as scientists review the role of gut microbiota alterations/maintenance as a significant factor in determining health or disease states. The microbiome encompasses a wide variety of bacteria that have a vital role in digestion, fermentation of unused energy substrates, and immune system maintenance, as well as vitamin and enzyme synthesis. Our metabolically active gut microbes are influenced not only by diet but also by the environment, genetics, stress, medications and exercise. If you have successfully made the switch from an unhealthy western diet to a healthier more plant-based diet and are not seeing the changes you had hoped for, it could be that the gut microbiome is preventing weight loss. Still, a plant-based diet high in vegetables, fruits, whole grains, and legumes, and low in animal products and refined carbohydrates is considered one of the best options for weight maintenance and disease risk reduction. If you are dieting unsuccessfully or have reached a weight loss plateau, it could be that the microbiota is slowly shifting and becoming accustomed to a plant-based diet. 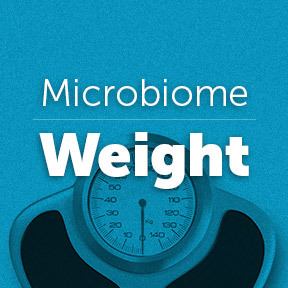 In the future, weight loss plans may be based on an individuals own gut bacteria, using a targeted approach, such as probiotics, to change the makeup of the microbiome. Include prebiotic fiber in the diet to feed, stimulate and promote the colonization of friendly bacteria. Prebiotic-rich food sources include bananas, garlic, onions, asparagus, apples, flax seeds and many more. Add probiotic foods and supplements into the diet to support and restore the natural balance of gut flora especially after disruption by illness, treatment, poor diet, or travel. Probiotic-rich foods include yogurt, kimchi, miso, sauerkraut and kefir. Reduce stress that may negatively impact gastrointestinal health both short and long-term. Chronic stress can lead to inflammatory bowel disease, ulcers, acid reflux and other unhealthy gut conditions. The why and how are not fully understood, yet exercising regularly is believed to increase bacterial diversity, while improving overall health and body composition. Improve and diversify the diet, preferably by getting plenty of whole foods daily to positively impact beneficial bacteria and reduce the growth of harmful microbes. Spend time in nature and let fresh air into your home to take advantage of healthy environmental impact on microbiota. Prebiotic Superfoods Drink Mix by Enzymedica®: This powdered formula provides a superfood blend of fruits, vegetables and botanicals to nourish the microbiome, aid digestion and energy production, and optimally support the digestive system. Gluten and soy free, Non-GMO formulation. Prebiotin Prebiotic Fiber by Prebiotin™: This medically researched prebiotic powdered fiber supplement supports health and immunity by nourishing beneficial bacteria. All natural and gluten free, Prebiotin supports calcium absorption, healthy colon microflora, cardiovascular health and weight management. 100% natural oligofructose enriched inulin. No additional ingredients. Vegetarian formulation. Actiflora+ Prebiotic and Probiotic by Kendy Nutraceuticals: This proprietary patented blend provides a minimum of 45 billion viable probiotic cells, as well as inulin prebiotic, in support of an optimally functioning digestive tract. Gluten free, vegetarian formulation. Proflora™ Probiotic by Guna Biotherapies: These premium pre- and probiotic sachets are formulated with 6 probiotic strains providing a minimum of 2 billion living cells per serving. This product supports healthy intestinal flora balance for a well-functioning digestive tract. Allergen free formulation.